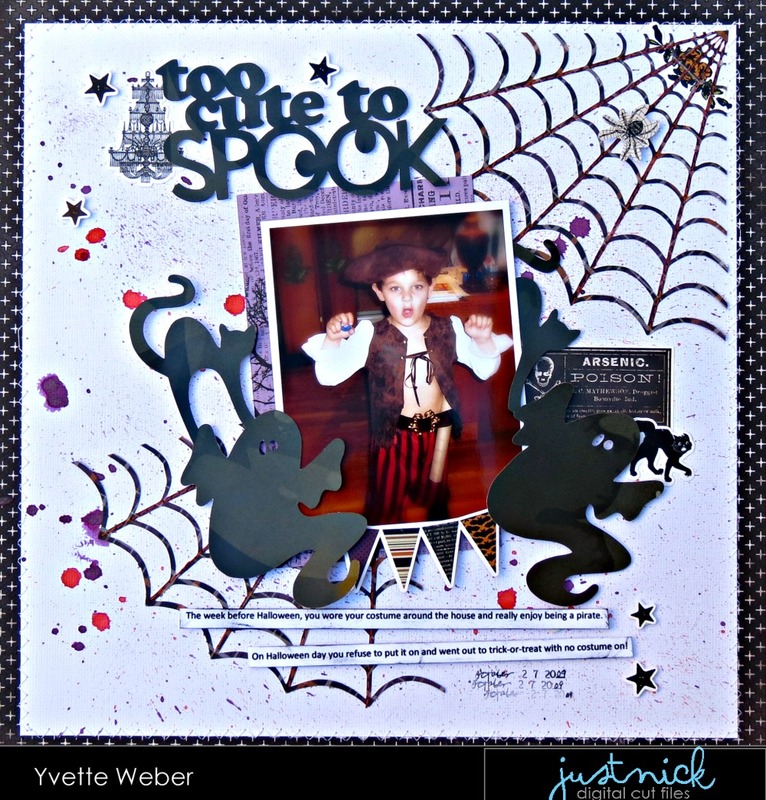 Today I'm sharing my design team layout for Just Nick Studio....This week it's all about Halloween! I wanted to scrap this picture of my son for awhile, in the photo Max love dressing up as a pirate the week before Halloween....but the day of Halloween he refuse to put it on! I open the 31 cut file in my Cameo, select the cat & ghost icon and weld together...I used the Hot Chocolate Patterned paper from the Oakley Avenue collection ( Pretty Little Studio) for this. Next came the Spiderweb which I cut from the (Echo Park Paper) Hocus Pocus collection... before I started to assemble my layout, I splash some orange and purple paint on my white cardstock to create my background! Added the cat & ghost cut files with form dots behind for some dimension on both sides of my photo, using some stickers from the Hocus Pocus collection to add under and around the picture! To finish off my page I added my title which came from the 31 cut file and added my journaling.. Thanks for stopping by....Remember to check out the shop to see the new cut files each week!